One of the most common reasons for websites to be unavailable are their incorrect nameservers or other DNS records. 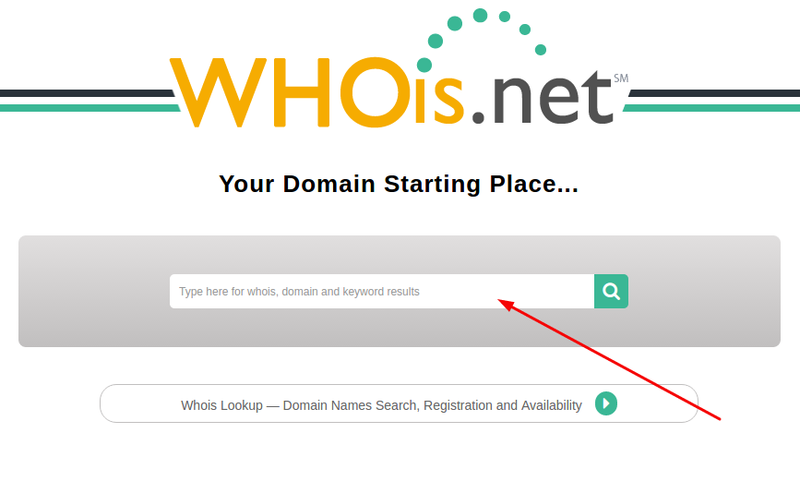 In this tutorial, you will learn how to check if the domain’s nameservers are pointing correctly towards your hosting service while using various WHOIS lookup tools such as who.is , whois.net , whois.domaintools.com and so on. Domain Extension – By definition, domain extensions are categories of Internet domain names. For example, if your domain is example.com, ‘.com’ part would be called ‘domain extension’. 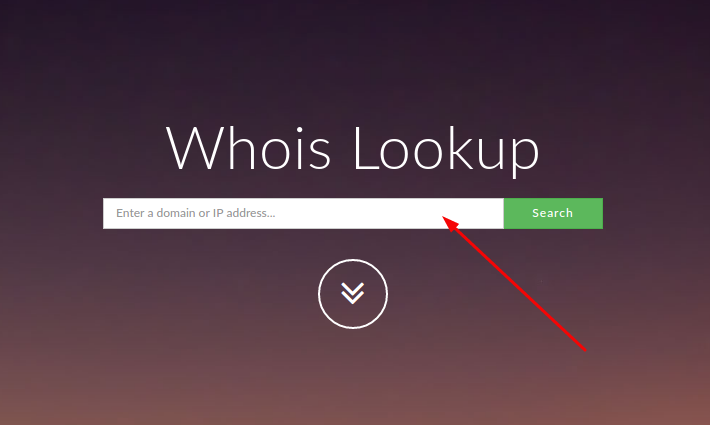 WHOIS Lookup – An action, widely used to check domains for their registration availability, owner information, and most importantly – DNS/nameservers information. You will almost always be presented with the working WHOIS lookup tool in the first search result. If you own a domain name with more common extension (such as .com, .net, .org, etc. ), feel free to skip this step entirely and use one of the universal lookup tools listed in Step 3. Marked areas represent your domain’s current nameserver values. And these are exactly what we are looking for! 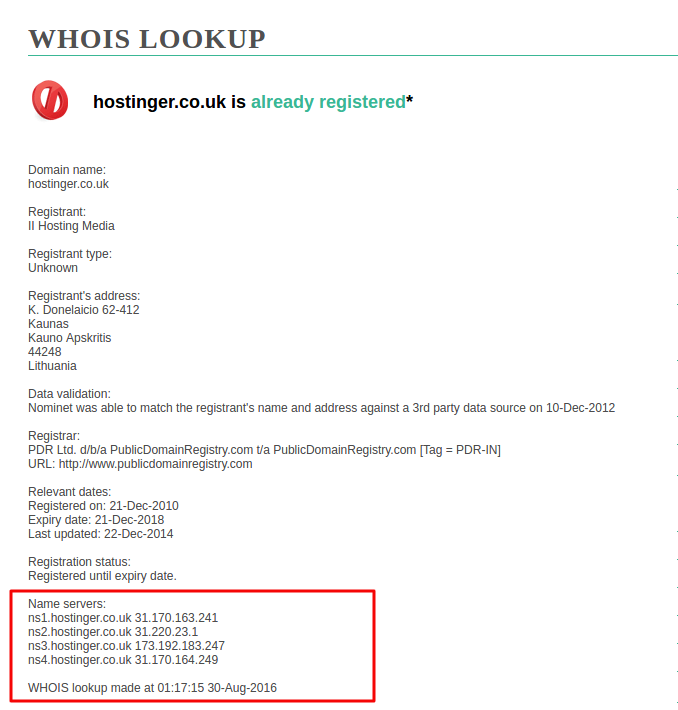 This basically means that the domain you have entered is not registered anywhere yet. Furthermore, it means that you will need to purchase the domain in order to use it to represent your website. You simply made a typo when entering the domain name. Try to enter it one more time or copy/paste it directly from your registrar. 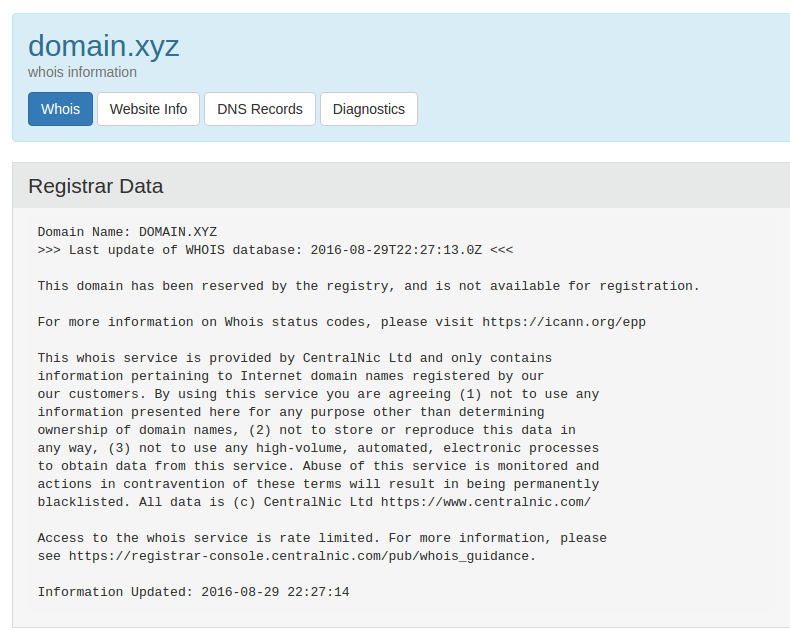 It may also be possible that the current WHOIS lookup tool shows you outdated information (especially common if your domain was recently registered). If that is the case, try using another WHOIS lookup tool. This usually happens when you try to check domains with less common extensions such as .es, .xyz, etc.. In this case, you will need to go back to Step 2 in order to find your extension-specific WHOIS lookup tool. Since now you know your current nameservers, you can compare them to the ones given to you by the hosting company. 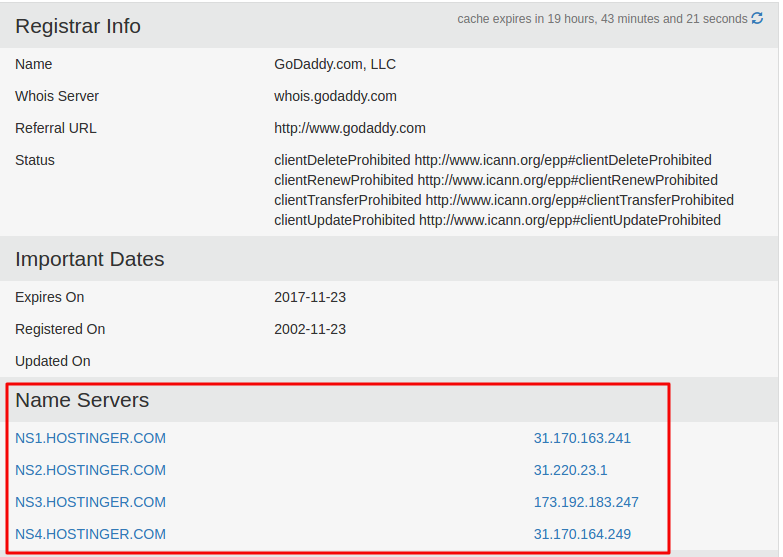 If they are the same, the domain is pointing to your hosting account correctly. 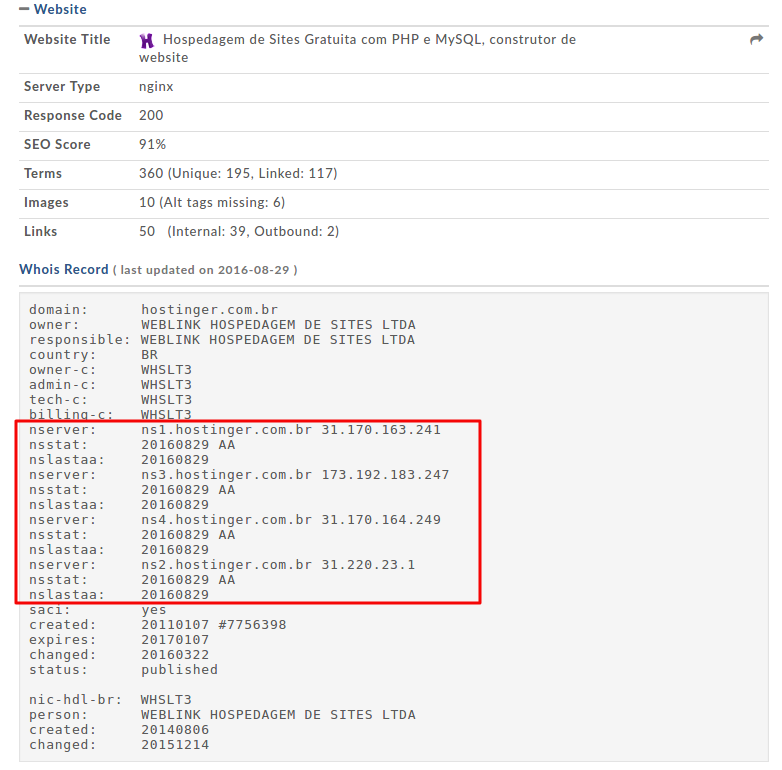 In this tutorial, we have learned to analyze our domain’s nameservers while using widely accessible online WHOIS lookup tools. Using this knowledge you will no longer be unaware whether or not your domain is pointing correctly towards your hosting account. Thank you for your help. Grts.